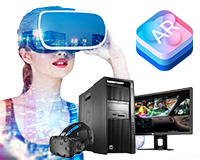 If you are a software developer then the latest computers are available to lease for Virtual Reality and Augmented Reality. We also do requests, specific: GPU’s, CPU’s etc… Just let us know! Everyone is talking about Virtual Reality (VR) – or Augmented Reality (AR) – but it’s still a costly setup. To get the best VR/AR experience you still need to spend a lot, unless of course, you lease everything you need! With more than 30 years experience HardSoft understand the IT needs of your business as well as the best way to finance it. Choose from a selection of VR ready laptops from names such as HP, PNY, ASUS and MSI and desktops can be bespoke from Strongbox. If you can’t find what you are looking for then ask us. Why Lease? As an independent stockist, we are able to offer the best prices and ‘No Quibble’ support on all new computers for VR and AR and can bespoke a spec to suit your needs. We can get you a fast decision on finance, helping new and start-up companies to finance their IT at the same rates as established businesses. As a finance authority, HardSoft offers a one-stop shop solution to all of your technology needs. HardSoft’s unique “Return, Retain and Renew” option, that allows customers to Return the equipment after 24 months and make no further monthly payments; Own the kit after 36 months for a one-off payment of £1; Renew with brand new computers on a new three-year lease whilst cancelling the original. VR is a changing market and leasing will keep you up to date with the latest technology. Contact our HardSoft experts for advice on your VR needs on 0207 111 1643, email sales@hardsoft.co.uk or speak to an expert with our Live Chat on the bottom right of this screen. VR is a technology that uses computer software to create a completely virtual world with which users interact and become totally immersed. Users experience the feeling of actually being inside this virtual world, thanks to VR-specific hardware and software. Hardware specs to run VR have fallen making it ever so popular. The sensory experience that VR delivers can include all the senses: sight, touch, hearing and in the future maybe taste. VR is a different technology from Augmented Reality (AR). VR creates a completely virtual world with which users interact and become totally immersed using a headset such as the Oculus Rift. AR inserts virtual objects into the user’s real world environment where the user can interact with them. Apple iOS11 features AR and many developers are now developing AR solutions for Apple iPhones. What are the hardware needs for VR developer’s hardware? Today’s personal computers with powerful graphics cards can drive most VR systems. Processing speed also matters. However, the crucial hardware device that enables nearly all VR experiences is a head-mounted display such as the HTC Vive or the Oculus Rift. VR headsets are packed with gyroscopes and other sensors that track the user’s actions or movements. Turn your head, nod, or lean forward or backward, for instance, and a good VR environment will reflexively adapt and react. The user’s experience will suffer if the real world seeps in at any point — for example, if the user perceives lag-time in computer processing or a delay in the VR environment’s response to user movements. So you need decent hardware to run your VR software with a recommended minimum of i7 CPU, 16GB RAM and GeForce GTX 1070 or AMD Ryzen GPU. Get involved- should I develop VR now or later? VR technology represents an exciting new platform that promises to change the way businesses operate. Now is the best time to explore VR and imagine what it can do for your company. By 2020, augmented reality and VR market is predicted to be a $150 billion industry, according to a report by Digi-Capital. Markets for AR/VR include Architecture; allowing building creators and designers to get a better physical experience of what the finished project will be like. Training simulations; particularly for roles involving precise manual dexterity such as medical surgery or the emergency services. Mental health treatment; including work with those who suffer from post-traumatic stress disorder who may benefit from reliving experiences in a controlled way. Does HardSoft add Insurance and add it to the direct debit after delivery? No, we do not but we may do if you cannot provide us with details of whom you have it covered by. If we do, it is approx. £110 per annum per device, which is very competitive for an ‘all-risks’ policy. Are the VR computers new? Yes and always the newest models. 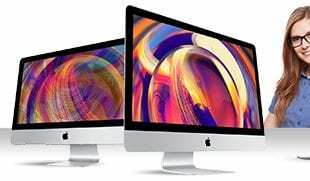 Are there any extra costs when leasing computers? How quick is delivery of a new computer on lease? 2-3 days normally though ask us and we could do it faster. If I lease a new computer is delivery included? Yes it is and we can deliver at a time to suit. We may need to ask for Personal Guarantees and may ask for additional info to prove affordability. This is usually a bank statement. Do prices exclude VAT and when are payments collected? When you lease payments exclude VAT and we can collect the direct debit either monthly or quarterly. Very. Established since 1984 we believe that when you lease computers from Hardsoft you always get the best pricing and best service. 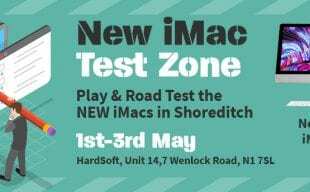 Unfortunately leasing PC’s and Macs is only available to business users. HardSoft do offer 0% interest free credit on many options. Have a look at https://interestfree.hardsoftcomputers.co.uk/ and if you cant find the PC or Mac you need then let us know. Yes you can but it would be from our Herts. Office and the collection needs to be arranged with ourselves. Does the Financial Conduct Authority regulate leasing from HardSoft? Do I have to pay a fee to keep the computer at the end of the 3 year lease? Leasing computers includes the option to own for normally £1.